One of the largest Allotment sites in Cardiff and not far from city centre. Surrounded by industry and encroached by Cardiff City Footbal Stadium development and leckwith retail park, parts of the allotment have been sold off since the millenium so it is now 1/3 of its original size. It houses a great mix of ethnicities and gardening styles. A lot of volunteer led regeneration work starting in 2011 has been undertaken and continues to bring a new sense of community and enjoyment to the site. There are numerous community gardens on the site, see the map for more details on them. The site is registered with the Federation of City Farms and Community Gardens. We have an onsite gardening club and discount shop for members, tools for hire, seeds, fertilisers, compost. We recycle waste wood, pallets and building materials. 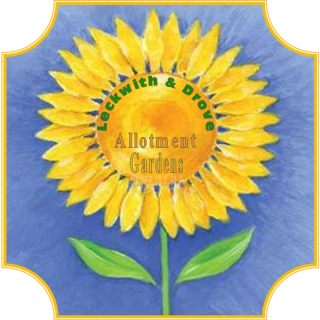 We accept donations to community work and welcome volunteers on to the site to help support our community work or other community gardens.